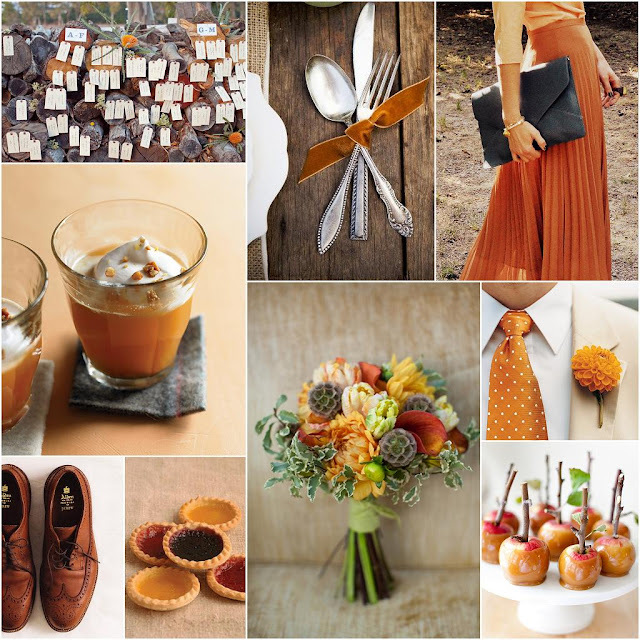 There was a positive response to last week's white washed inspiration board but I know there are still some of you out there that love a pretty autumn wedding complete with gorgeous earthy orange palette. Simply perfect. So warm and tenderly. Well that orange and dotty tie is more than a little bit fun! oh i love this one - so comforting for fall! This is totally my kind of orange! This board is heaven-and would you believe we bought those very shoes for John just weeks ago? Such great autumn colors. Love it! LOVE love LOVE!!!! This is perfect for Fall!